We’re betting you’re not one to believe everything you hear. We also bet you agree that it doesn’t matter how loudly or how often people repeat an assertion, or how fervently they stand behind it. You want to know the facts. 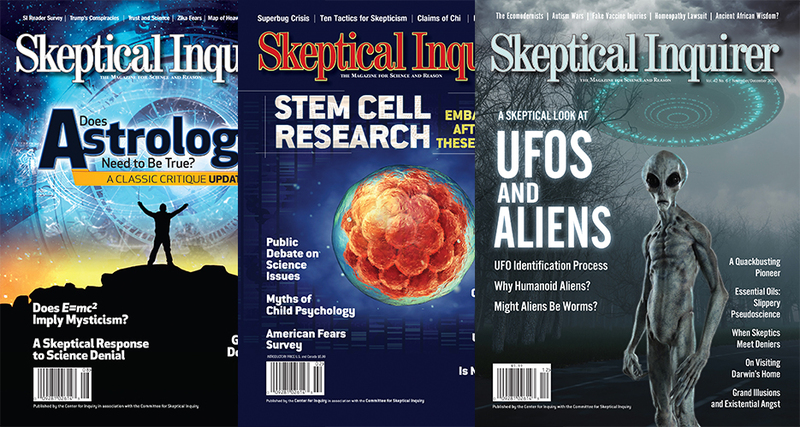 Whatever the claim – a coming apocalypse, conspiracies, alternative medical claims, miracle cures, homeopathy, hauntings, psychic powers, climate change deniers, even Bigfoot and the Loch Ness Monster, you name it – Skeptical Inquirer investigates and reports what is found. Interested giving a subscription as a gift?